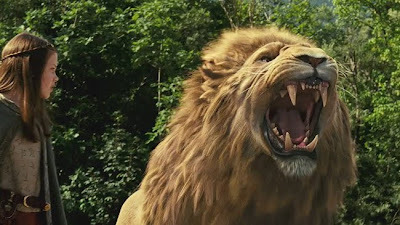 “Aslan,” said Lucy, “you're bigger. Yep...the more I "grow" the Bigger my God is and the smaller I am! And for that, I am very thankful! Neat quote! Happy 2010 to you! I never really thought about that passage. :) Good one! I love it! Hope you don't mind, I had to reflect on this on my blog this morning!! Love that quote! Happy New Year, Carrie!